Two great options – Keep reading below to learn how to have your own app or for a more affordable option, click HERE to learn about Children’s Ministry Live! It’s easy – It usually only takes a few minutes to provide us with the information we need to develop your app. It’s quick – Once we receive your information most apps are released and available to your families in only a matter of weeks. 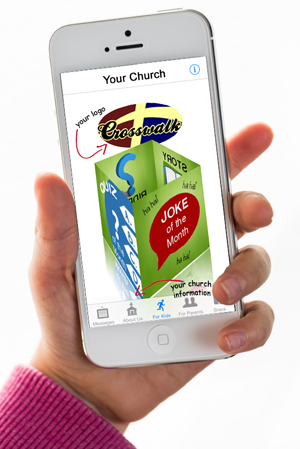 It’s affordable – Our goal is to keep the price affordable so that churches of all sizes can afford an app. Low-to-No maintenance – We provide a way for you to update your information and graphics. However, unless you need to make changes, your app will continue in the App Store without any time or effort on your part. What does the app include? What platforms will my app work on? We charge a one-time set-up fee of $250 and a $45 per month hosting fee. By all means, please ask us. You can reach us at resources@threethirtyministries.org or you click here to request a phone call. Simply fill out the form below. It only takes a few minutes. Then we will contact you to talk about your app. If one of our ministry partners referred you to us, please list their name below. If not, you can leave this blank. Are you a member of Kidology?